The Guardian reports that the details behind the loss of a Russian satellite worth 2.6bn-rouble or $45 million have been revealed to be caused by improper coordinates programmed into the rocket carrying the satellite. 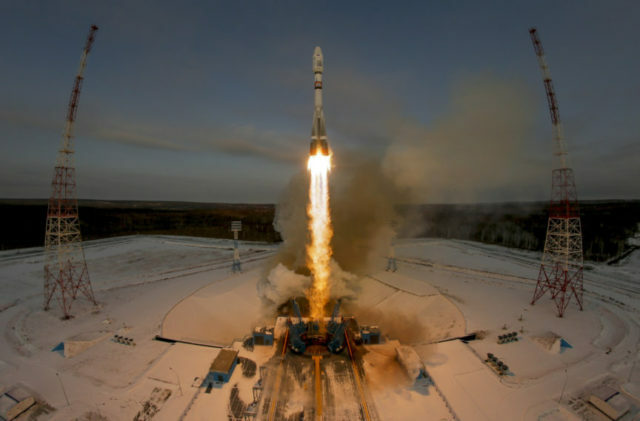 Russian space agency Roscosmos stated last month that they had lost contact with the weather satellite, known as the Meteor-M, shortly after it’s launch from the new Vostochny Cosmodrome in the east of the country. It was discovered that the rocket had been programmed with the wrong coordinates that directed the rocket to leave from the Baikonur Cosmodrome instead. Russian deputy prime minister Dmitry Rogozin discussed the failure, saying, “The rocket was really programmed as if it was taking off from Baikonur. They didn’t get the coordinates right.”Along with Russia’s Meteor-M satellite, 18 smaller satellites were placed on the rocket from commercial and research companies in Russia, Norway, Sweden, the US, Japan, Canada, and Germany. In 2015 one of Russia’s rockets exploded just minutes after launch, destroying a Mexican communication satellite along with it. The latest failure comes just after Russia’s Roscosmos space program had their budget cut by 35 percent this year. It was also discovered in a 2015 audit that the space program had $1.8 billion in financial violations.